Wilfred M. McClay has been SunTrust Bank Chair of Excellence in Humanities at the University of Tennessee at Chattanooga, where he has also been a Professor of History since 1999. He has also taught at Georgetown University, Tulane University, Johns Hopkins University, and the University of Dallas, and is currently a Senior Scholar at the Woodrow Wilson International Center for Scholars in Washington, DC, a Senior Fellow at the Ethics and Public Policy Center in Washington, DC, and a member of the Society of Scholars at the James Madison Program of Princeton University. He was appointed in 2002 to the National Council on the Humanities, the advisory board for the National Endowment for the Humanities. His book The Masterless: Self and Society in Modern America (North Carolina, 1994) won the 1995 Merle Curti Award of the Organization of American Historians for the best book in American intellectual history published in the years 1993 and 1994. Among his other books are The Student’s Guide to U.S. History (ISI Books, 2001), and Religion Returns to the Public Square: Faith and Policy in America (Woodrow Wilson Center/Johns Hopkins University Press, 2003). He is currently at work on a biographical study of the American sociologist David Riesman under contract to Farrar, Straus & Giroux with the manuscript completed in 2008, a collection of essays, arising out of a conference I organized in the fall of 2006, entitled The Burden of the Humanities, to be published by Eerdmans in 2008; and a volume of his own collected essays entitled Pieces of a Dream: Historical and Critical Essays, also to be published by Eerdmans. He held the Royden B. Davis Chair in Interdisciplinary Studies at Georgetown University for the academic year 1998-99. Among his other awards, McClay was selected for inclusion on the 1997-98 Templeton Honor Rolls, awarded by the John Templeton Foundation for distinguished teaching and scholarship in American higher education. In addition, he has been the recipient of fellowship awards from the Woodrow Wilson International Center for Scholars, the National Endowment for the Humanities, the National Academy of Education, the Howard Foundation, the Earhart Foundation, and the Danforth Foundation. 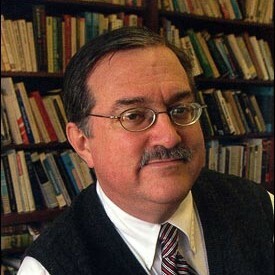 He is coeditor of Rowman and Littlefield’s book series entitled American Intellectual Culture, serves on the editorial boards of First Things, The Wilson Quarterly, The Public Interest, Society, Touchstone, Historically Speaking, and University Bookman, and is a member of the Board of Governors of The Historical Society. He was educated at St. John’s College (Annapolis) and the Johns Hopkins University, where he received a Ph.D. in history in 1987.